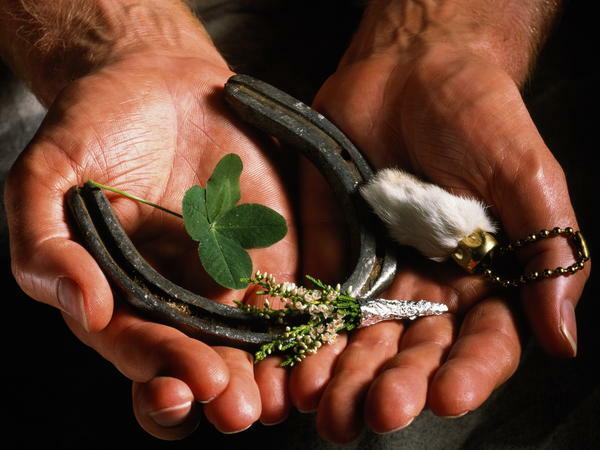 Common good luck charms include a horseshoe, a four-leafed clover, a sprig of heather and a rabbit's foot. This St. Patrick's Day, it's good to remember that you don't have to be Irish to be lucky. In the past year, we've covered numerous stories of extremely fortunate people — many of whom don't come from the Emerald Isle. Some struck it rich by winning the lottery, while others stumbled on centuries-old treasures. Over the past year, we've also reported stories of people who found fortune in much more profound ways — whether that was by reuniting with long-lost loved ones, or miraculously avoiding tragedy. What many lucky people have in common is that the odds were stacked against them. Here are seven of their stories. Donelan Andrews, a high school teacher from Georgia, was reading through her travel insurance policy when she noticed something unusual: buried on the seventh page, the contract announced a reward for anyone who actually made it that far into the policy. By simply doing her due diligence, Andrews walked away with a $10,000 prize from her insurer, Florida-based Squaremouth. Andrews plans to retire this year after teaching for 25 years. Now, thanks to her winnings, she has a little bit more to look forward to. "My husband and I are also celebrating our 35th wedding anniversary this summer," she told NPR. "So we're taking a trip to Scotland in June. And this money will pay for just about all of that trip." In addition to awarding $10,000 to Andrews, Squaremouth also donated $5,000 to each of the two Georgia schools where Donelan teaches. 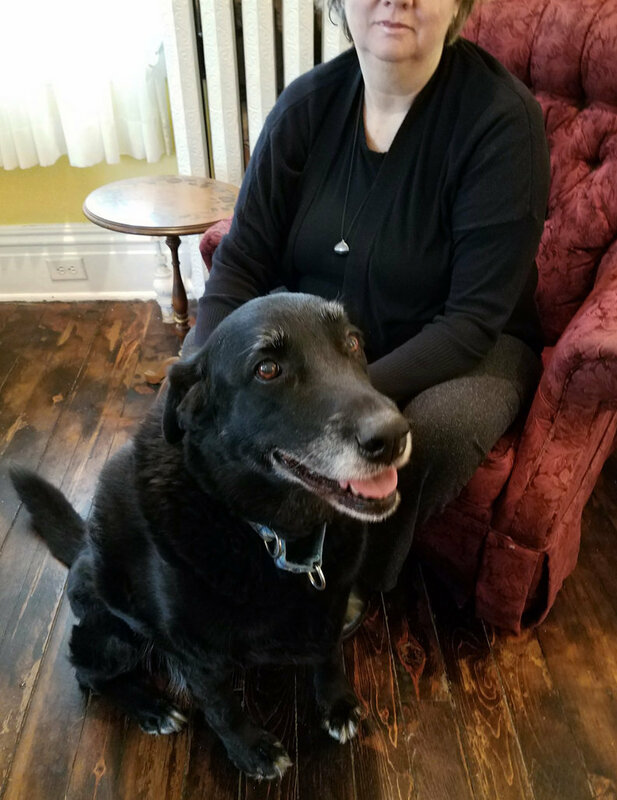 After 10 years, a black Lab mix named Abby was reunited with her owner, Debra Suierveld. Roughly 10 years ago, a black Labrador retriever mix named Abby wandered away from the home of her owner, Debra Suierveld, in Apollo, Penn. Then, in January, Suierveld got a call from an animal shelter that said Abby had been found. Originally thought to be deceased, the pooch was reunited with Suierveld and her family. Suierveld said she doesn't know where the dog was for all those years, or who might have had her. But she and her family were overjoyed to reunite with Abby. "She's just such a sweetheart," she told NPR. "I just wish they had checked her for a chip because we would have had her back so much sooner." The odds of winning the Mega Millions jackpot are 1 in 302,575,350. The odds of buying a winning ticket, losing it and then finding it again are even smaller. Just ask Mike Weirsky. The New Jersey resident nearly lost out on a $273 million jackpot earlier this month after buying a ticket at a QuickChek supermarket near the state border with Pennsylvania, and then leaving it behind. 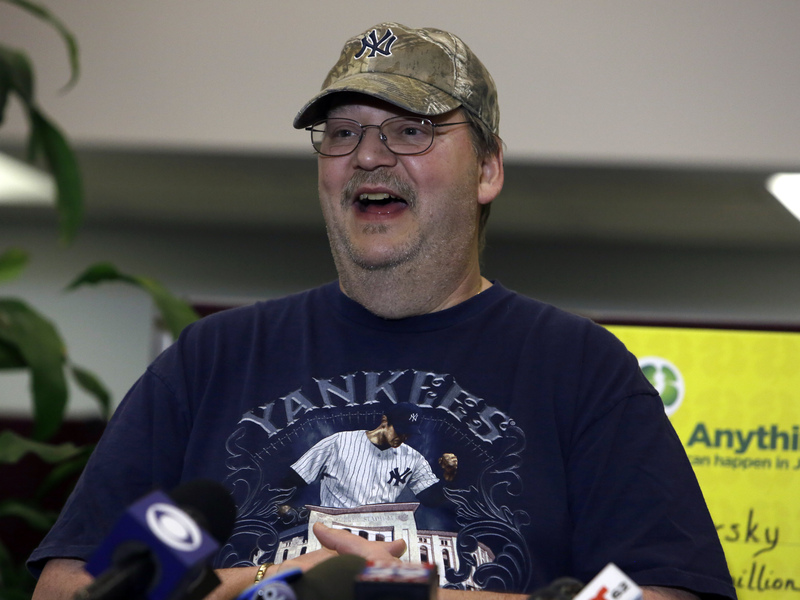 Mega Millions lottery winner Mike Weirsky speaks during a news conference on March 7, in Trenton, N.J.
To his luck, a good samaritan returned the ticket to the cashier. Weirsky returned to the store hours later, amazed to find the ticket had been handed in. He now plans to reward the person who chose to turn the ticket back in rather than keep it for themselves. "I'm just very thankful that there's an honest person out there, because I figured it was gone," he said. "I'm going to give him something." A store clerk named Phil Campolo told NBC that he's the one who came to Weirsky's rescue. "My parents raised me to be a good person, honest, sincere. I was doing the right thing, and I'd do it again." Rescuers called it a "miracle" when a 12-year-old boy was found alive in the French Alps after spending 40 minutes buried under an avalanche. According to National Geographic, 93 percent of avalanche victims survive if they're dug out within 15 minutes. But after 45 minutes, just 20 to 30 percent of victims are still alive. The boy was skiing on an off-trail section of the La Plagne ski resort in Mâcot-la-Plagne when a torrent of snow, ice and rocks swept him away, carrying him at least 110 yards. Even though the boy was not wearing an avalance detector to help rescuers pinpoint his location, a rescue dog was able to scent and find him. Remarkably, the boy suffered no serious injuries, according to Euronews. The reason he may have survived so long is because of the poor quality of the snow that day, which allowed more air to reach him and helped him avoid suffocation. 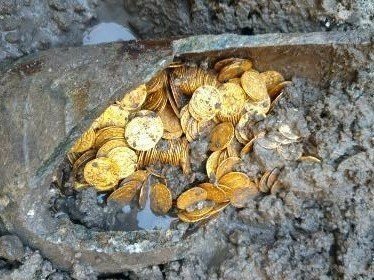 Hundreds of ancient gold coins were unearthed in the basement of a demolished theater in northern Italy. Archaeologists were excavating the basement of a historic theater in Como, Italy when they struck gold, literally. Buried in the dirt were hundreds of ancient Roman gold coins dating back to the fourth or fifth century. Unlike traditional leprechaun folklore, these gold coins weren't at the end of a rainbow (we checked). Rather, the coins were found in a soapstone jar, stacked in rolls similar to the ones used in banks today. It's unclear exactly how much the coins are worth, but Luca Rinaldi, the local archaeology superintendent, told The Times of London that the coins had an "inestimable" value. "We are talking about an exceptional discovery," he said. Saga Vanecek found an ancient sword while wading in a lake in Sweden. On a summer day in Sweden last year, a girl named Saga Vanecek was wading around in a local lake. Suddenly she felt something beneath her hand and knee: a sword — a sword that's about 1,500 to 1,600 years old, to be exact. The sword was found about 32 feet away from shore, at a depth of roughly one and a half feet. Mikael Nordström, head of the cultural heritage department at the Jonkoping County Museum, called the find "an amazing story," but was stumped about why the sword was at this site. According to the Jonkoping County Museum the sword is 33 inches long, has a sheath made of wood and leather and is "exceptionally well-preserved." 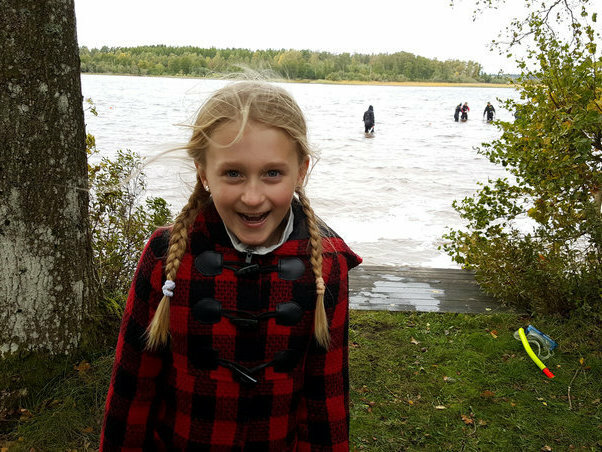 An Iron Age sword was discovered by an 8-year-old girl who was wading in a lake this summer in southern Sweden. In further searches of the lake, a team found metal jewelry dating back to around 200 to 550 A.D. Sometime luck isn't about striking it rich or discovering hidden treasure. In the wake of the crash of Ethiopian Airlines Flight 302, a Greek man, Antonis Mavropoulos, shared the story on Facebook about how he narrowly avoided boarding the fatal flight. "When I arrived, boarding was closed and I watched the last passengers in (the) tunnel go in," he wrote. "I screamed to put me in but they didn't allow it." In his post, Mavropoulos shared an image of what appears to be his boarding pass. When he realized how lucky he had been to miss that flight, Mavropoulous wrote that he "collapsed."